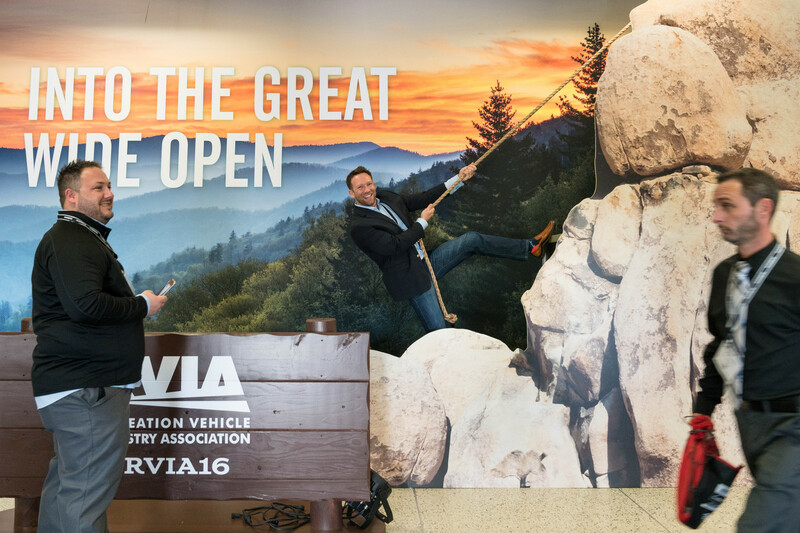 The Recreation Vehicle Industry Association (RVIA) represents vehicle manufacturers, suppliers, and dealers. 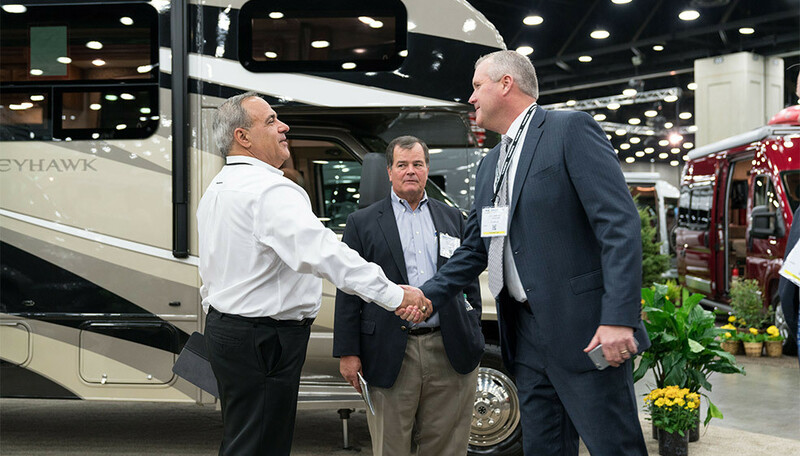 RVIA’s National RV Trade Show welcomes 7,000+ attendees looking to bolster their RV-related businesses, learn the latest industry news, and network with colleagues. 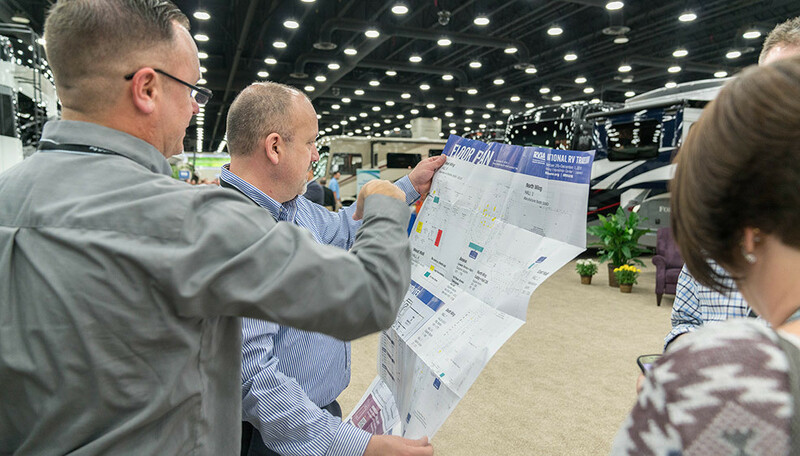 RVIA turned to Freeman (its partner for more than 25 years) for ideas to move beyond the vehicles and focus on the experience of RV-ing to increase attendee engagement, expand sponsorship activity, and add excitement. Additional recommendations included new audience engagement approaches, a simple style guide, a revitalized sponsorship program, surveys, and a show audit for future growth opportunities. 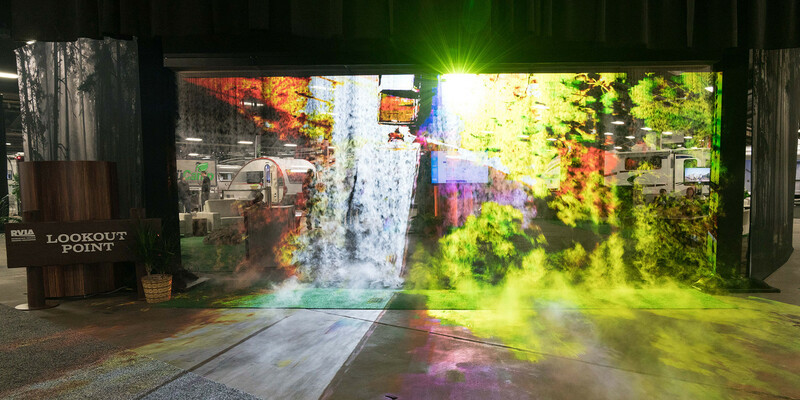 The team recreated the RV-journey atmosphere (log-cabin-inspired structures, campsite signage, “grass” carpet, nature graphics, and more) and integrated outdoor-themed experience zones. The adventure began at registration with routes for learning, relaxation, and engagement at every turn. The Patio featured 80-inch “edutainment” touchscreens loaded with new products and customized RV trivia. The Lookout Point wowed with a 62-foot, walk-through fog wall created by projecting stunning nature scenes onto mist. Attendees gathered around the Campfire for presentations and networking. In the Selfie Station, customized Smart Panels simulated a mountain-climbing adventure. The customized sponsorship program included value-add explanations, bundled packages, and 12 new activation ideas, which yielded an impressive year-over-year increase in sponsorship activations. The customized prospectus and new packages created many new avenues for sponsors that accelerated sponsorship dollars by 220%. Media coverage of the event included Reuters, CNBC, The Street, USA Today, FOX Business, and Bloomberg. Additional on-site coverage was placed in the USA Today magazine. RVIA also received the winning spot for signage from IAEE's Art of the Show competition.